Saturday, December 13, 2014. Today, I created the image and wrote the haiku after the recent Pacific storm passed through the Mojave Desert. I am not a trained artist, so it’s a bit rough. Normally I stick to graphic design and simple doodling. 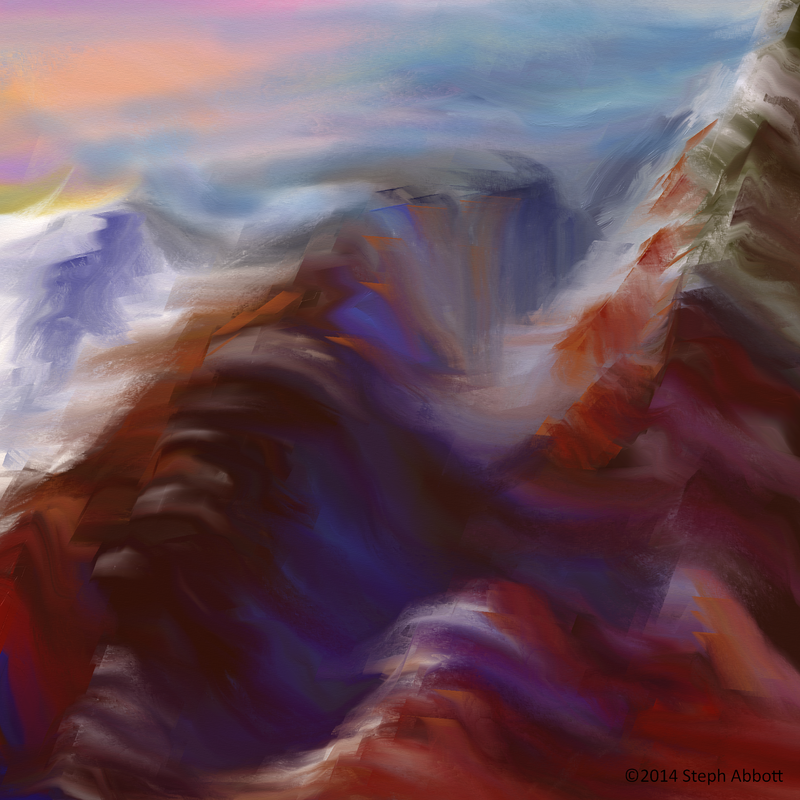 However, I chose to paint mountains after watching an ArtRage tutorial video by Terry Jachimiak (‏@ThtrProfessor). I enjoyed the challenge to create outside my comfort zone.I created the image on my Windows 7 laptop using ArtRage 4.
what an inspiring blog ! Thanks, Rika! I visited yours too. I enjoyed the variety. Ps I tried to give you 5 stars but not sure they all lit up! Gee thanks so much, Gayle!